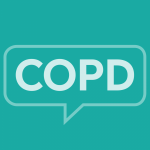 It’s COPD awareness month! We want to know which of the following breathing strategies and techniques you’ve tried. If you haven’t yet, and would like to, we encourage you to speak to your healthcare team about what strategies would work best for you! Unfamiliar with the method? Learn about Buteyko breathing here! Karen demonstrates the pursed lip breathing method in this video. Coughing can help! Learn more about it here. Has your doctor discussed breathing treatments as an option for you? Read about them in this article. Share your experiences with us! Comment about your breathing techniques below.